In front of a maxed out crowd, Chris Russell went absolutely nuts, securing the top spot in the Finals. Check out the best moments and relive all the madness. The 2016 Van Doren Invitational is over, done, and awesome. Here's Matt Cordova's winning runs as decided by the judges who were looking for an overall impression, not a single run score. The muscle ran riot at HB posting a massive 91.99 to take the title! Ben Hatchell was as precise as a surgeon in his second place run. Watch this and then think he was skating with a separated shoulder! 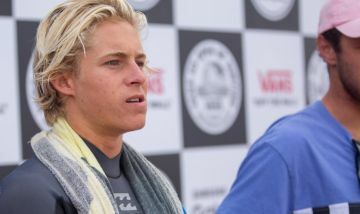 Sweden's Oskar Rozenberg Hallberg was on fire in the Huntington Beach heat today claiming his first podium result for the year. Is he looking forward to the World Championships in his home town... you bet. BMX rider Jason Watts brings us some real sound bites from the backstage of the Van Doren Invitational, until his session is unexpectedly cut short. Watch some of the world's best bowl riders doing their thing at the Van Doren Invitational, as finalists get defined in Huntington Beach. Ronnie covers serious ground and makes it all look like a piece of cake. Great filming by Gregson as well. Some serious skating went down in Huntington Beach for the inaugural edition of the Women's Vans Pro Skate Park Series. Check it out. 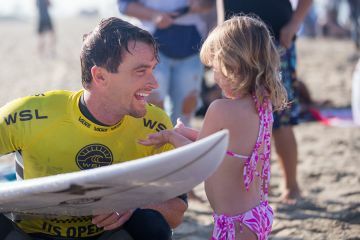 The local Huntington Beach hero chats with Kaipo Guerrero after his Round Two victory at the Vans US Open of Surfing. The top surfers in the World made the best out of challenging conditions at the Vans US Open of Surfing. Watch the best moments of today's action in Surf City USA. 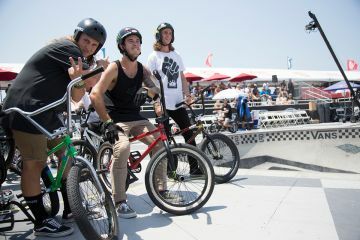 Two minutes of randomness from Monday and Tuesday's practice session at the Vans Pro Park Course, Huntington Beach. 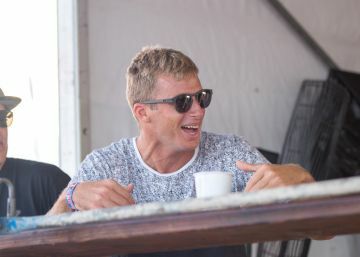 Davey Cathels refined his backhand attack at home in Narrabeen, which has its share of windy lefts, so lumpy, bumpy Huntington is no problem for the Australian. Caio Ibelli, Victor Bernardo, Sebastian Zietz and Mitch Crews put it all on the line in their Round Two heavyweight bout.